Sincere thanks, Dale and Julie!! Will this is wonderful.. I can almost sell the fish,, and sea water,, lovely capture!!! Will, I don't know how I missed this. What a wonderful capture. Perfect composition. Thanks so much for your comment on my picture Lilly Pod. 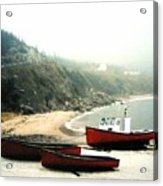 I just love red anything and these boats are really bright and wonderful to look at!! and I love the landscape!!! Fantastic! 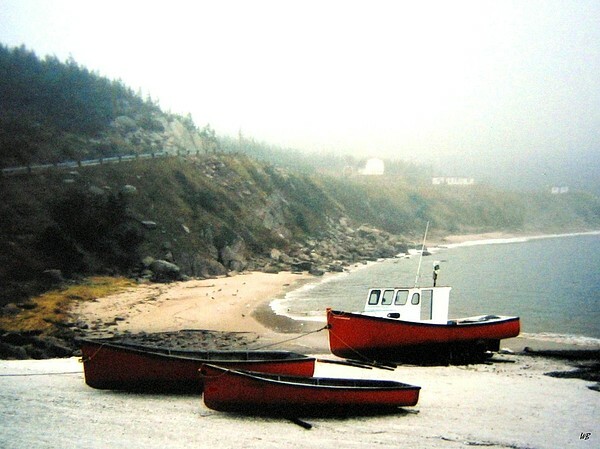 Love the red boats, great capture, Will. Great capture of the morning's atmosphere, Will. 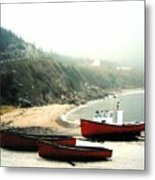 A nautical photograph of fishing boats up on the beach. 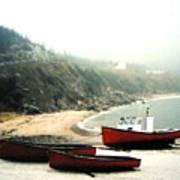 Created from a 35mm photo taken in the year 2000 along the Cabot Trail of Cape Breton Island, Nova Scotia, Canada. The morning sun is breaking through and the fog is quickly lifting. 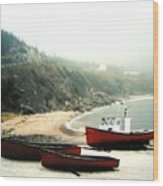 "Cape Breton Fishing Boats"